Making the ask: it’s the point in your appeal letter, blog post, or email campaign at which you invite the reader to give a financial gift. Yes, you’re asking for money. It is here that you may cringe in discomfort and even push back, thinking Do I really need to be so blunt? Must I be THAT person – the one who talks about money? What do I say without sounding tasteless, clumsy, or vulgar? 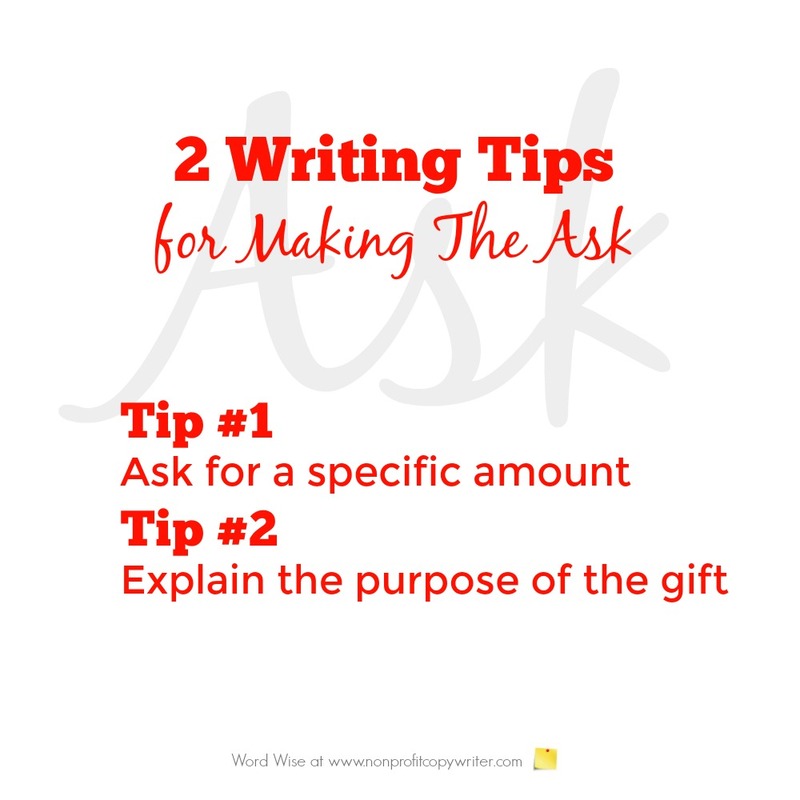 Check out these two writing tips to help you make the ask easily. Why does this NOT work and why is it vague rather than clear? Because “support” can take many forms. Yes, you support a cause when you give a financial gift. But you also support a cause when you agree with it. You support a cause when you talk about it. You support a cause when you volunteer. You support a cause when you get other people interested in it or invite them to an event. This version asks for a clear amount to be used for a particular purpose. When making the ask, be sure your writing connects the dots between the intangible outcome of your cause (such as improved lives, better health, stronger relationships, or deeper faith) to a tangible, quantifiable outcome – even if your cause is hard to quantify. This is especially important when asking a person to give money. You’re inviting the reader to part with something concrete and quantifiable. Offer a concrete, quantifiable reason that explains why she should do so. Tangible: Your $200 gift will help fund 5 new small farming centers in remote Appalachia, improving the lives of 2,400+ families as they learn to support themselves from the land and become more financially independent. Tangible: Your gift of $75 will help provide clean drinking water for a village of 1,500 and give them better health by preventing more than 400 cases of malaria next year. Tangible: Your $50 gift will combine with others to provide scholarships for 50 engaged couples to learn communication skills they need to save their marriages before they start. 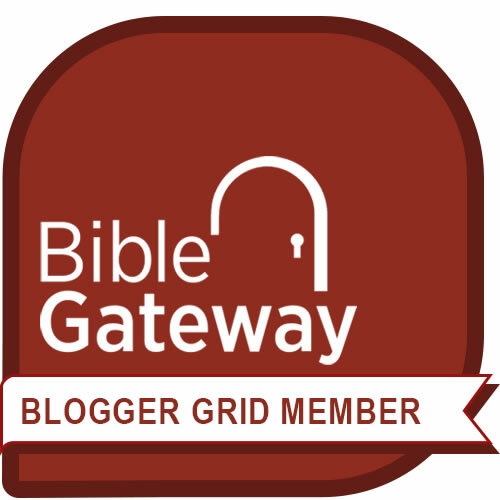 Tangible: Your gift of $25 will help provide Bibles and Bible study tools to build a deeper faith for people in 200 churches in Laos – where right now just 1 in 78 have access to scripture in their mother tongue. The biggest mistake you can make when writing an ask is to be vague – either by using vague wording or by having a vague point. You know your wording is vague when you try to ask without asking. You dance around the issue of a financial gift by using words that are noncommittal, like “please support us.” The problem with vague wording is that the reader doesn’t sense the nuance and read between the lines. The fact is that your reader needs to be told what to do or she likely will not to do anything. On the other hand, you may ask for a clear gift amount but the reader remains fuzzy about how you will use the gift. Your point is unclear. Without specificity, your reader may not commit. This is particularly true in the nonprofit and faith-based worlds, where results are measured in intangibles: improved lives, better health, stronger relationships, deeper faith. Be clear with your words and your point. Your readers will thank you with a better response rate!